Isalm: Does this look like it’s a religion of peace? Our brothers and sisters in a Muslim nation are receiving threatening letters, often with a real bullet included. 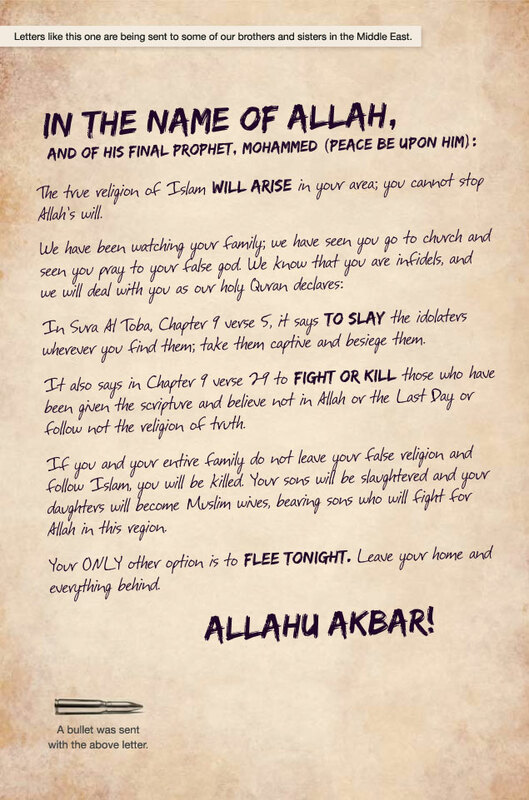 The letters give them three options: deny Christ and accept Islam, leave the area or be killed.